Very friendly and food is amazing!! Great place to eat curries, great ambience and wonderful service! I have been going to Tamarind for the past 8 Years, and the Service and Food still remain top notch! The Employees are always very polite, welcoming, warm, and helpful! 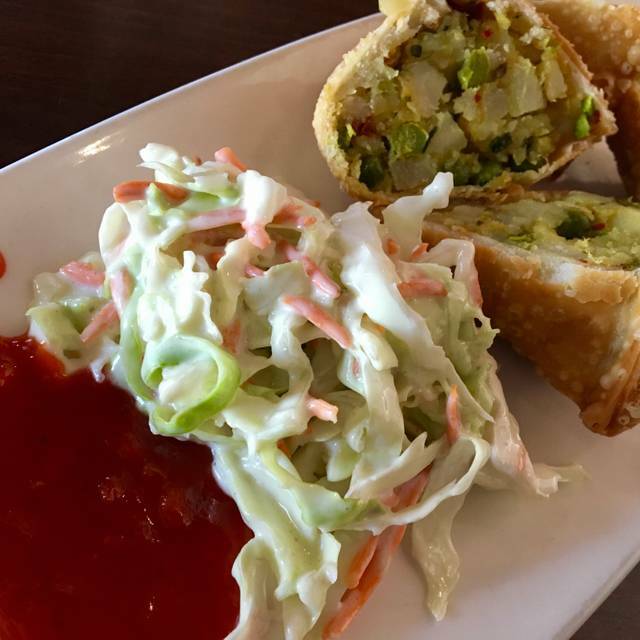 We can’t say enough about Tamarind, their food and their staff. This is our favourite restaurant that always surpasses themselves and accommodates the vegan in our family (especially when it is difficult to accommodate everyone’s specific needs these days)! We were expected to pour our own wine when ordering two full bottles. Not a big deal but the guests at the table were disappointed. Appetizers were awesome. Lamb and beef were on the tough side. Chicken was excellent. Will definitely return. We ordered our usual - Appies for two, chai for me, mango lassi for hubby and his butter chicken and garlic naan. We shared a coconut rice and ordered a GF from the menu - Beef Roganjosh. Tamarind remains a consistent favorite for us. Thank you for cooking delicious food and outstanding service every time! The food was great and the service was phenomenal. They were enthusiatic when giving advice on what to choose off their menu to people who are newer to Indian food. Would definitely come again. Awesome food!!!! We really liked it and enjoyed!!!! Great dining experience. Great service and excellent food. Our server Neha was wonderful and made our eveing very enjoyable. It was a busy New Years eve, but our food came out quickky and everything was great. Very affordable and easy parking. Everyone loved the aloo goobi and coconut curry . Service was well-timed and friendly! Food was outstanding. Best butter chicken and saag I have ever had. Service could have been a lot better but it was Christmas Eve so we didn’t complain and won’t let it put us off for next time. Gluten free options are marked out clearly. We will definitely be back. Extremely delicious and staff were very friendly and attentive! We've been here 5 or 6 times over the last year or so and it never disappoints! The food was wonderful, enjoyed a different selection of dishes, very attentive, helpful wait staff. A lovely relaxed evening. Food was great and service was the best by our server. When we received our vegetable pakoras they were cold. Our server never came back to the table too see how everything was otherwise we would have sent them back. When our server did arrive we told her about the cold food. The rest of the meal was very good. When she gave us our bill she apologized for the appetizer and took it off our bill. This was my first, but not my last, visit to Tamarind. The flavors were amazing and the portions were ample in size for sharing. I will be back! Our friends in our group of 6 thoroughly enjoyed the good food and the whole ambience of Tamarind! They indicated that they will be back and will be spreading the word! 10 out of 10. First time dining there and it was great. They were very attentive to our needs. The food was really good. The price was very good. We had a really fun time. Incredible every time! Well worth the drive if you aren't in the north. Food as always was very good. Best Indian we have had in CALGARY. Delicious food, great portion sizes, awesome value and great service! It was worth the drive from the SE for dinner. We were not disappointed with the service nor the food. Place was clean, staff were great and food was good. Will recommend and will definitely go again. Our Friday evening dinner at Tamarind was a perfect setting for our small group of six. The staff are friendly and helpful, the menu contains a good variety of dishes and the service was great. The appetizers and mains we ordered were all excellent, enjoyed by everyone in the group. Everything was on point (as always)... especially the vindaloo and veggie pakoras 👍 This continues to be our favourite Indian restaurant in Calgary. Food was wonderful. Server was very knowledgeable. 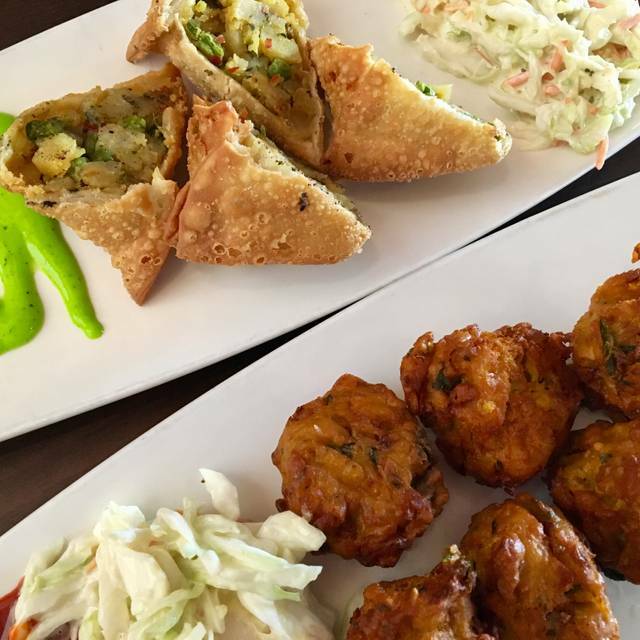 Always our go-to place for Indian dining. Great GF selections too! This was my second time at Tamarind, and once again, I am very pleased with the whole experience! Superb quality food, with lots of flavour from all of the spices...and the service was perfect! I love this place. The food was 5 star, we were so impressed with the flavours. Ambiance of the restaurant is cozy, modern, seems very genuine. Service was excellent. We will be back many times over. Outstanding. 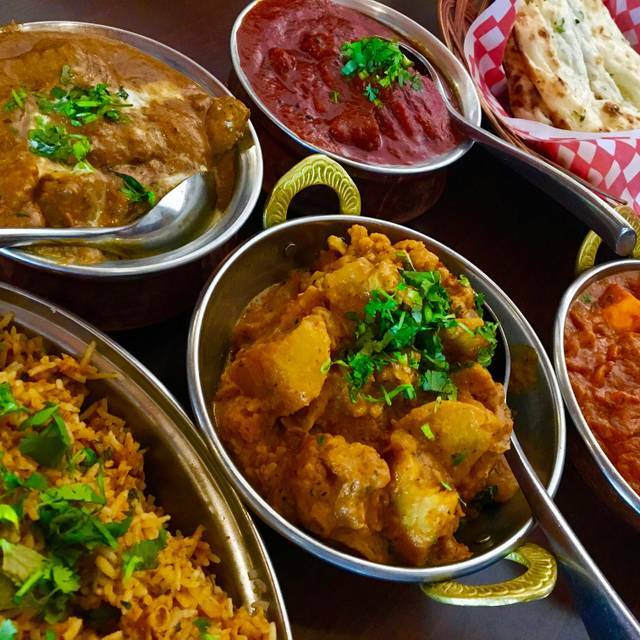 One of the very best Indian restaurants in Calgary and surrounding areas. Single server catering to multiple tables. Overall good service with long waites at times. Tough chewy lamb valdaloo. Average food. Better indian restaurants out there if looking for great food. perfect! can’t say enough good things, food is exceptional! The seating space is nice and open. The masalas are fresh. The Papri Chaat, Malai Kofta, Punjabi Fish Curry, Kerala Fish Curry and Butter Chicken are amazing. Pleasant environment, great food and service. We are never disappointed when we dine at this restaurant. Perfect for a Mothers's day dinner with close family and friends. Food was outstanding.....we had the coconut chicken and the beef with pecan sauce.....sauces were wonderful.....our server couldn’t have been better ......she was helpful , friendly and knowledgeable ......first time here.....will be back...will recommend to others.